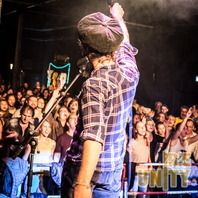 The Upper Austrian band Souldja invited to their first big concert organized at Alter Schl8hof Wels called Irie Vibes. Big up to Sebastian Sturm & Exile Airline Band, for us one of the most blazing stars in the Roots Reggae atmosphere, with an unforgetful live show and touching emotions all along. Big Up to Souldja too, for their upheld friendliness and always giving everybody around the feeling of one family, one love and one aim! 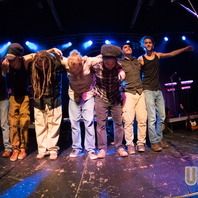 The Upper Austrian band Souldja invited to their first big concert organized at Alter Schl8hof Wels called Irie Vibes. Our first steps into the location promised a lot, the crowd were completely mixed up between young and older people, from every kind of origin and cultural part. We felt a heartical warm glow all around which was accentuated by Shalamanda Sound’s warm-up DJ-Set, selecting the best of Dub and Roots Reggae. Hometown boys Souldja started their live show in front of their local crowd and brought them to dance energical and full of joy. 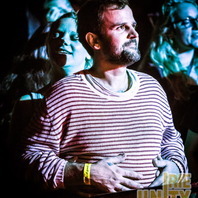 It is always nice to see musicians being happy about to be on stage and pursue their love to Reggae music. 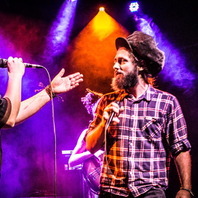 The main act Sebastian Sturm & Exile Airline Band started their show 1-2 hours later, with a smooth Roots Reggae set transforming it to a catchy mix of different Reggae styles and musical knowledge by the whole band. We were completely surprised to be convinced this strongly about the perfection of every single musician of the band with Sebastian Sturm leading the way on the microphone. Every time you may think it can’t even get better, they put their following song on top. The most amazing emotions kept their live performance of strictly Dub sequences they got across with loads of love in the voice and instruments. 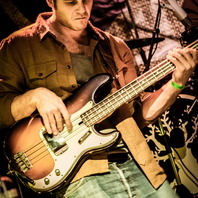 Big up to Sebastian Sturm & Exile Airline Band, for us one of the most blazing stars in the Roots Reggae atmosphere, with an unforgetful live show and touching emotions all along. Big Up to Souldja too, for their upheld friendliness and always giving everybody around the feeling of one family, one love and one aim! A night nobody should have missed!